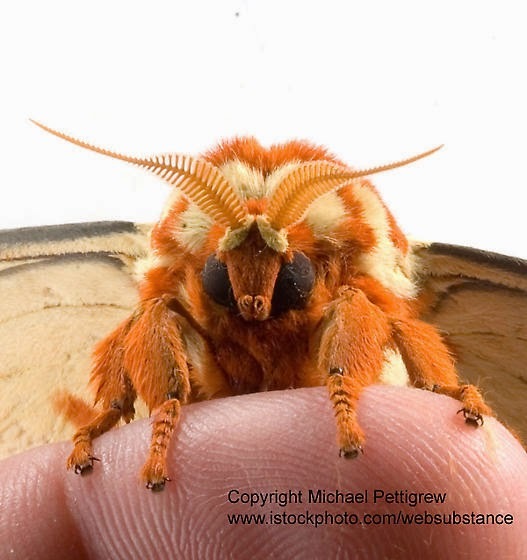 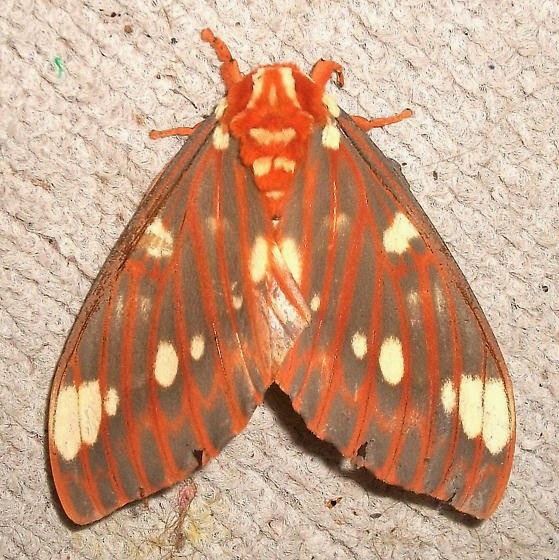 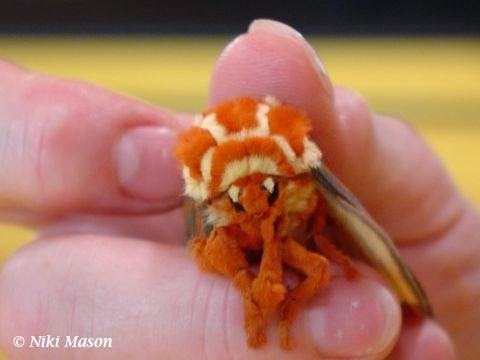 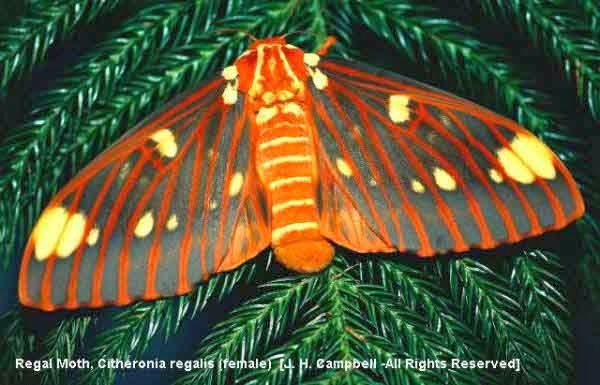 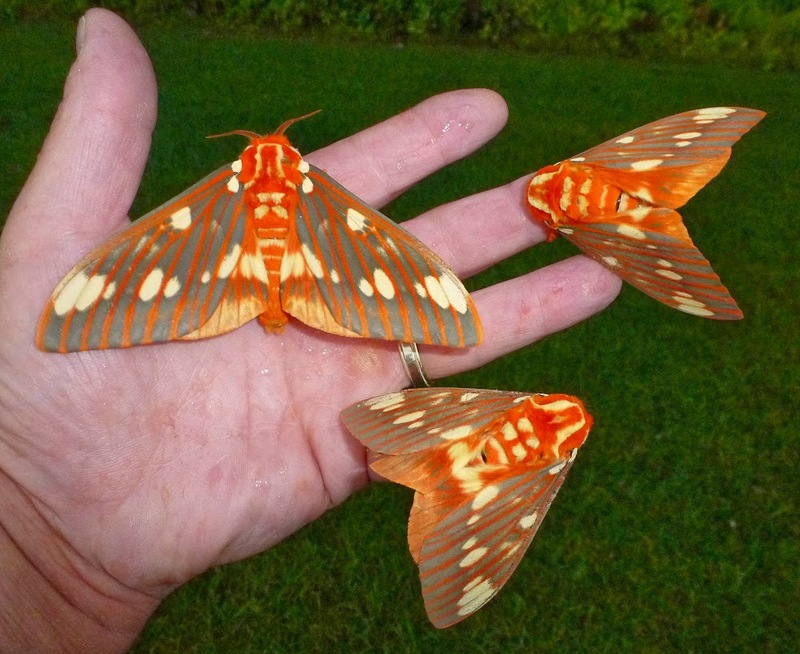 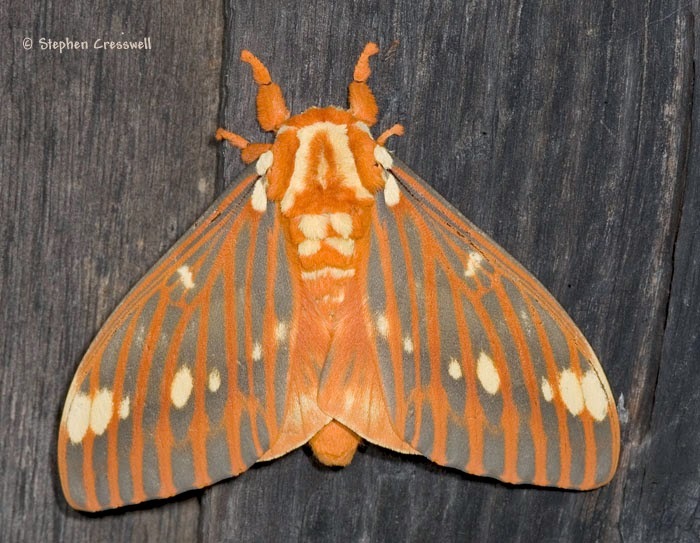 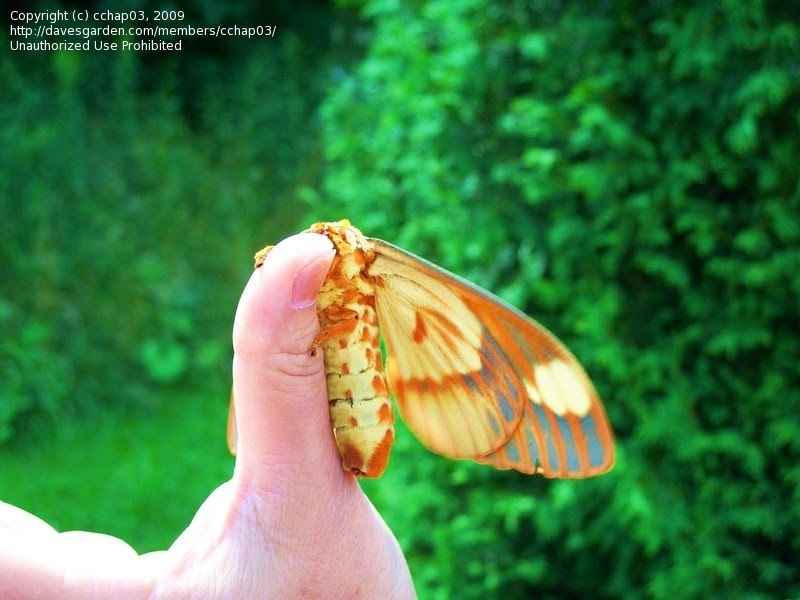 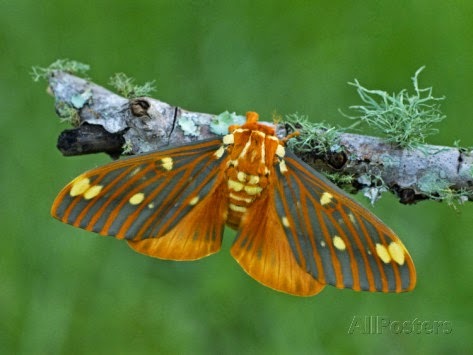 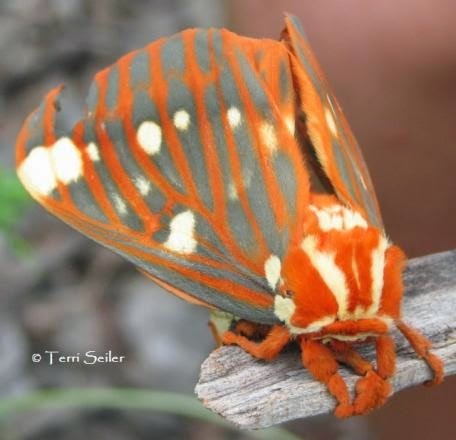 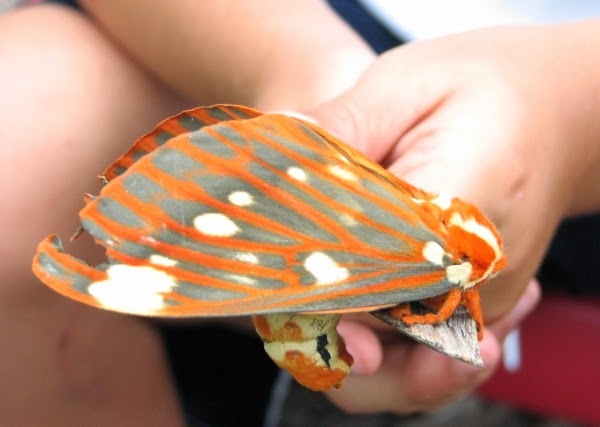 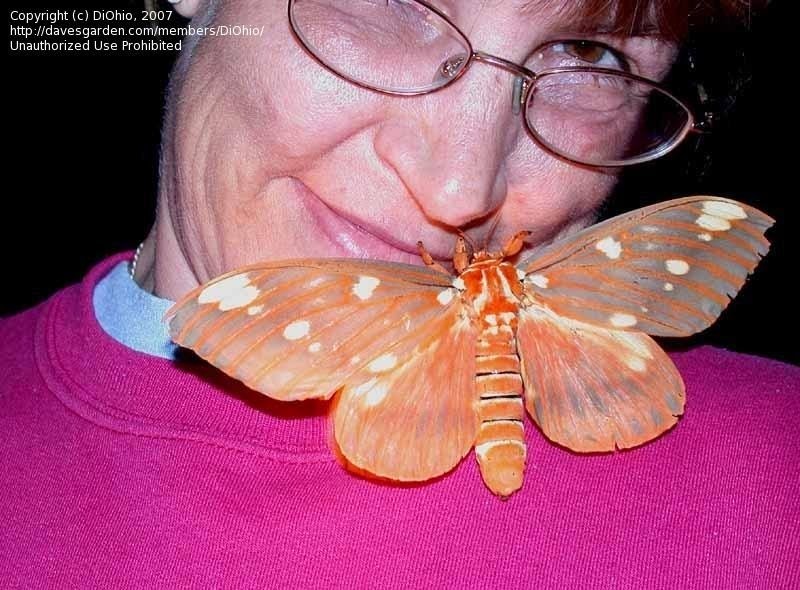 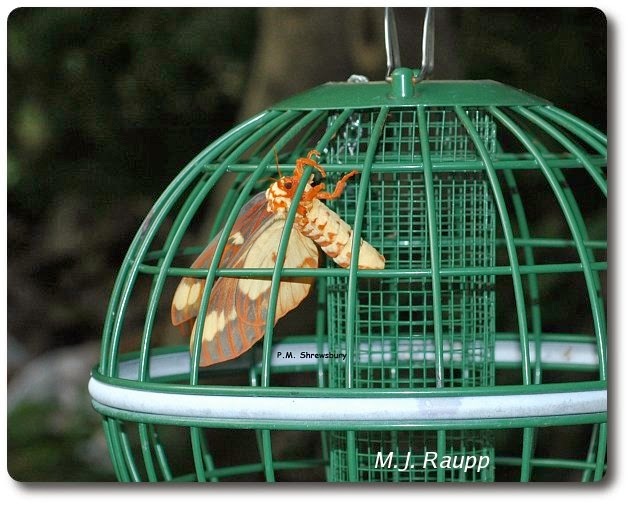 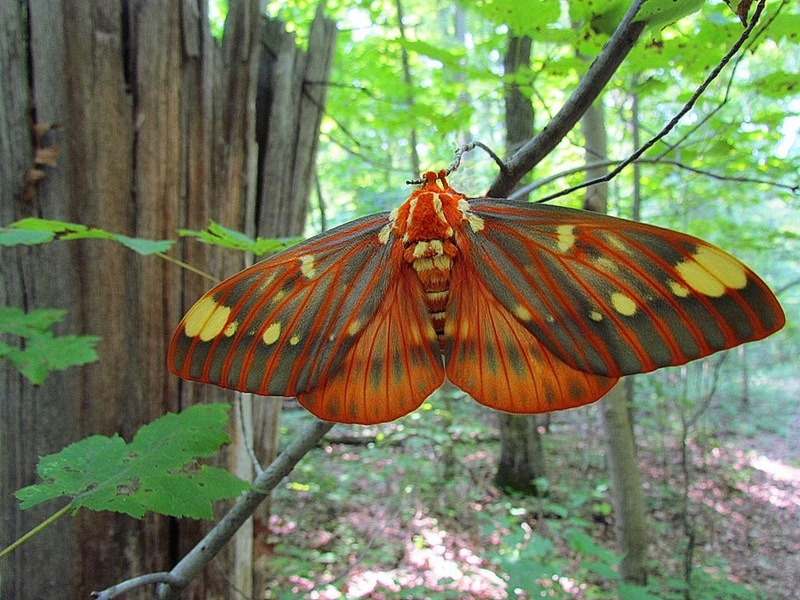 The Regal moth (Citheronia regalis), also called the royal walnut moth, is a North American moth in the saturniidae family. 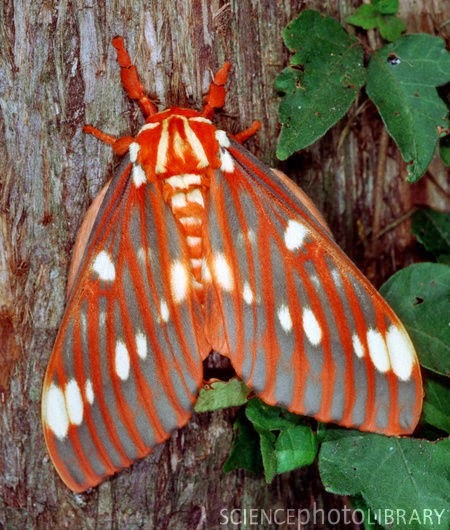 The caterpillars are called hickory horned devils. 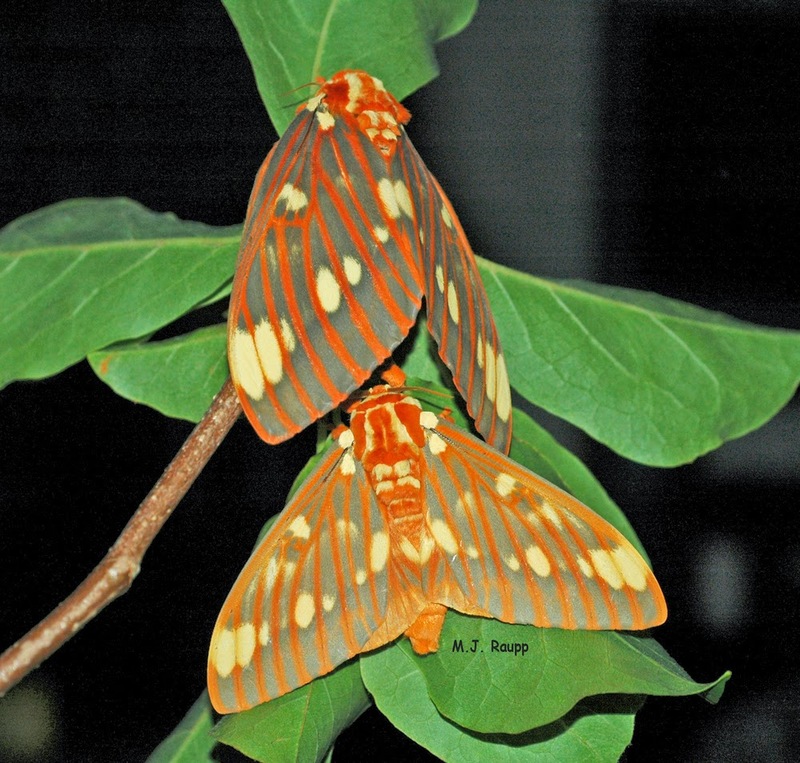 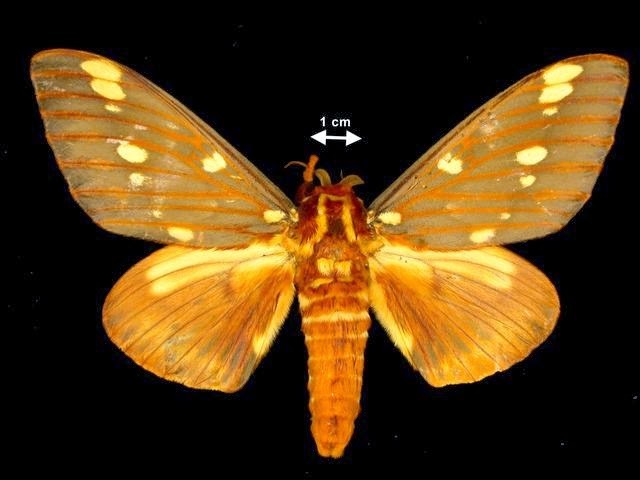 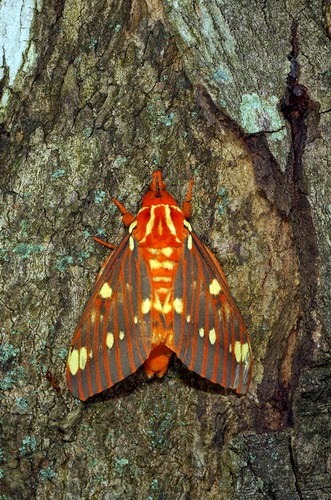 The adult (Imago) has a wingspan of 3.75-6.1 in (9.5-15.5 cm). 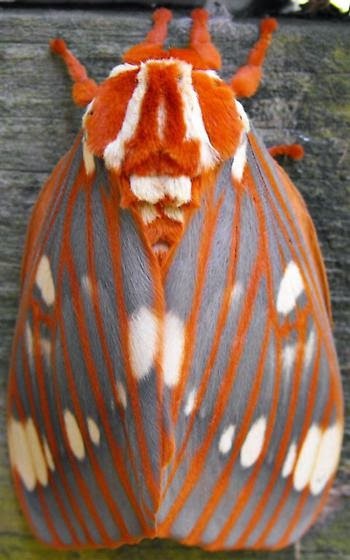 Citheronia regalis The adult moth is the largest moth by mass in latitudes north of Mexico,as are the spectacular larva and the substantial pupa. 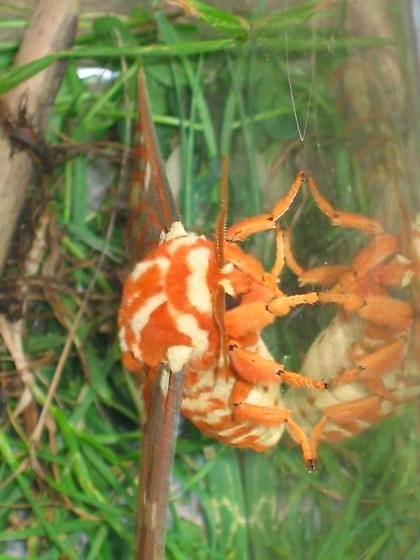 As the caterpillars age, they feed during the day. 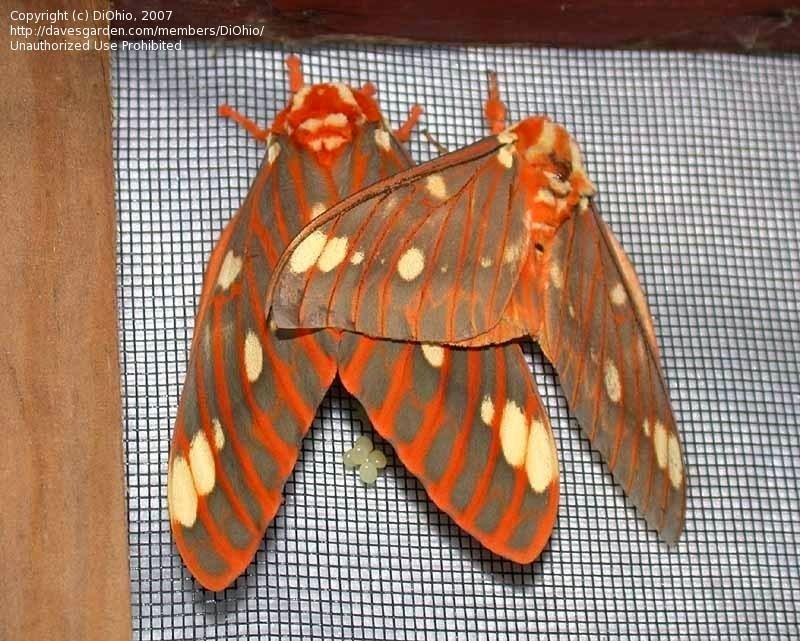 They molt 5 times. 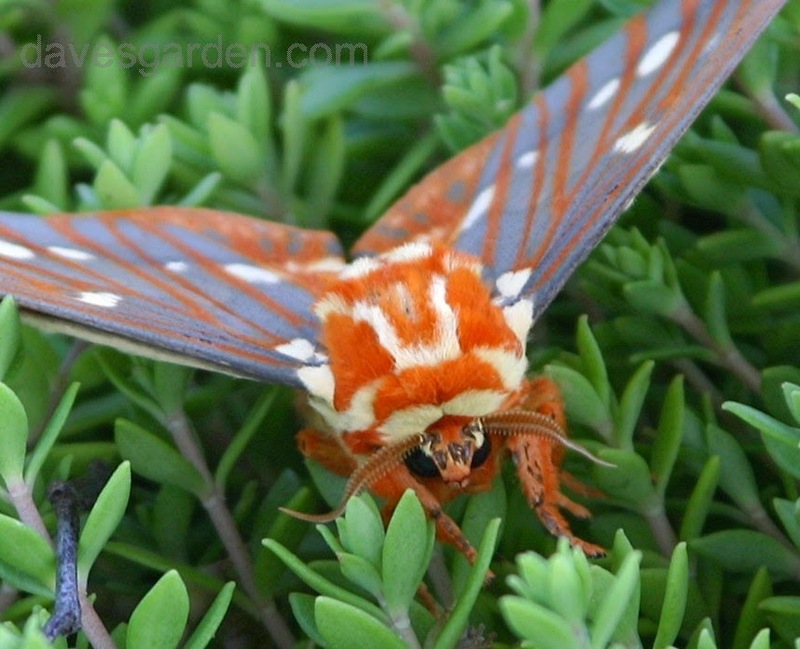 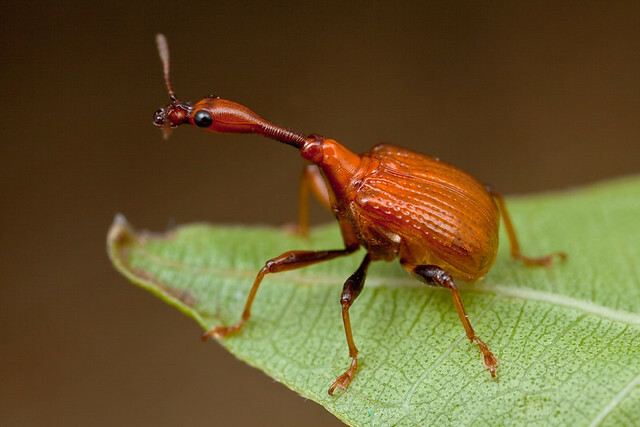 Each instar is different, but on their sixth and final instar they become a bright green color, with huge, black-tipped red horns, earning them their common name "hickory horned devils". 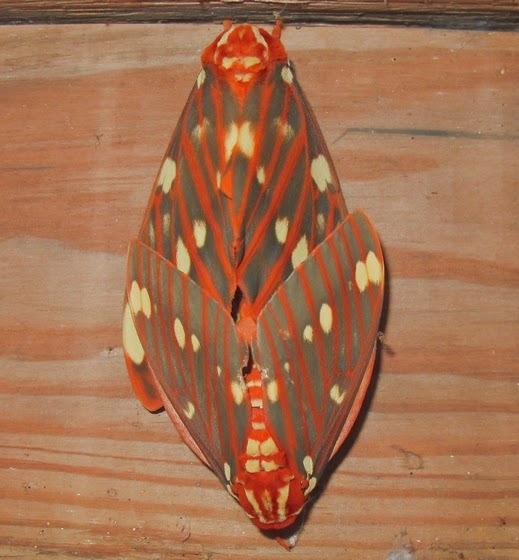 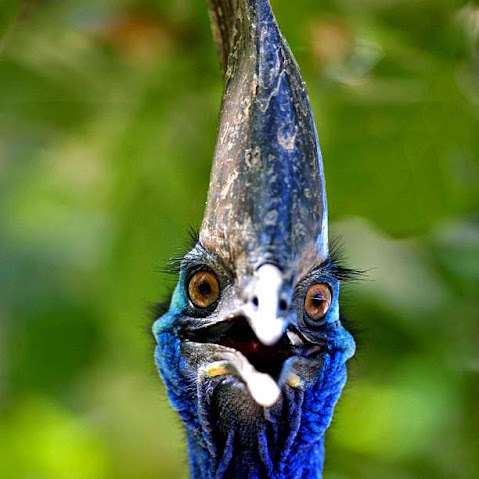 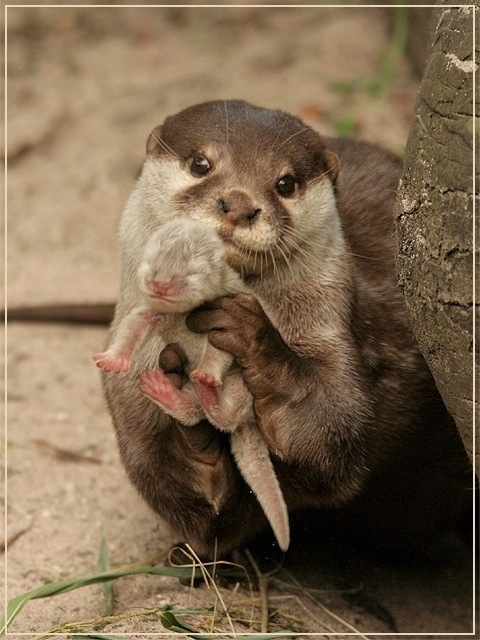 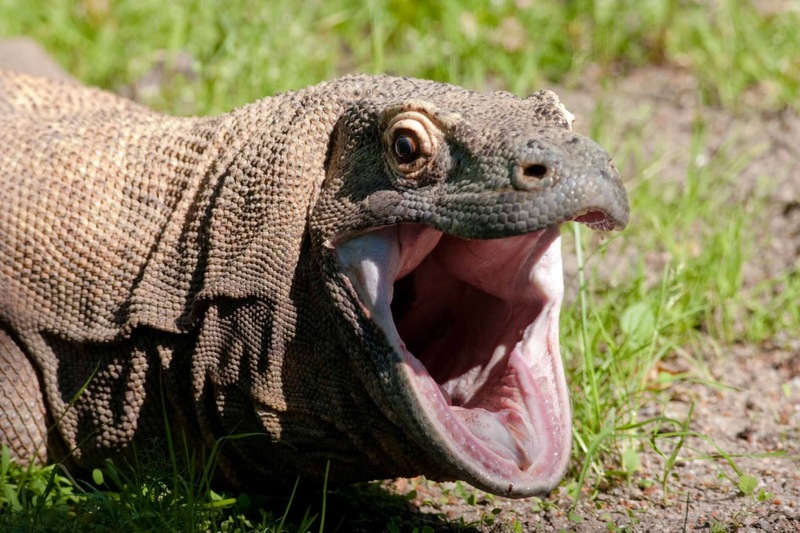 They feed heavily on their host plant for 37 – 42 days and can grow up to 15 centimetres (5.9 in) long. 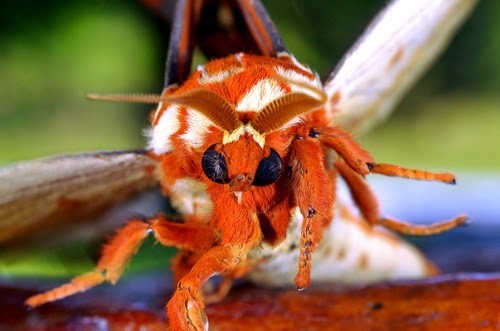 Their scary appearance is purely a ruse; the spines, though prickly, do not sting, and the larva is harmless and actually one of the more easily handled of the saturniidae.